Welcome to the Christchurch Branch of the New Zealand China Friendship Society. Follow the Christchurch Branch on Facebook. Thank you for supporting my elevation to the role of branch president. I trust you will not be disappointed with my efforts in the role. I have been a member of Christchurch Branch of the Society for over 5 years and been on the branch committee for 4 years. I have been involved in most of the branch activities. I have been especially pleased to listen to the many great speakers we have had at our monthly meetings and attending our banquets where we get to socialise over some great food. My plan as president is to increase the involvement of the members in our activities and I would like to see regular events held to allow members see more of the diverse aspects of Chinese life and culture. I would be very happy to hear from anyone who would like to suggest an event which may be of interest. I also want to develop closer ties with the many Chinese groups in Christchurch and get their involvement in our branch. Likewise I would like to see opportunities for our members to be involved with their activities by broadening the communication between us all. Expect to see more communication from us to let you know what is happening in our community. I am pleased to be leading a great and enthusiastic committee who will be working hard to make our Society interesting. Tony Tian is leading the charge to get younger people (under 50’s) involved so look forward to seeing some special events for the younger crowd. Please ensure your membership is paid for the current 2014 year and come along to support the events during the year. Thank you. To join the NZCFS Christchurch Branch: please complete the online membership application form below. 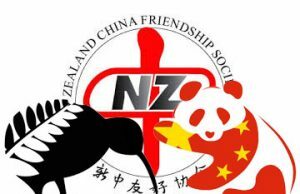 Please fill in the form below to join the Christchurch Branch of the New Zealand China Friendship Society Inc.